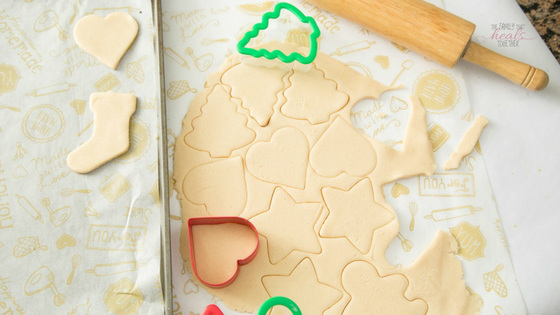 Paleo sugar cookies seem like a sort of oxymoron, since sugar isn’t paleo. But I love to play with natural sugar replacements and paleo ingredients to paleo-fy conventional recipes, like I did with these cassava flour sugar cookies. 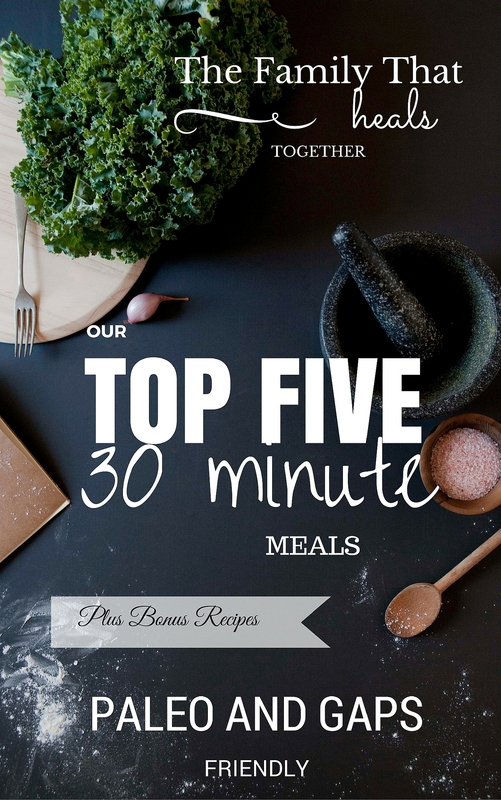 Below, you’ll find an updated version of that recipe. Now, cassava is not a good choice if you’re on the GAPS diet or other low-carb or keto diet. It’s not low carb, and it is starchy. However, it’s a much better choice than wheat or even gluten-free flours. Plus, if you’re a Veggie Tales fan, it might bring back fond memories of Cassie Cassava. They are basically the single best way to please a little boy on a strict diet. Trust me on this. Food = love in a little boy’s (or big boy’s) heart. I mentioned potatoes and rice (which are great fillers without introducing a lot of allergenic proteins, at least for most of us. If you’re allergic to rice like my friend Paula… I’m so sorry. I love a side of rice now and again.). I should’ve mentioned these paleo sugar cookies and cassava flour. Or maybe not, because the way my boys eat them, you’d think they never get full. These disappear in no time flat at my house. The end. But cassava is a great way to fill out a gluten-free diet, especially with recipes like Cassava Flour Buttermilk Biscuits, or, of course, these paleo sugar cookies. 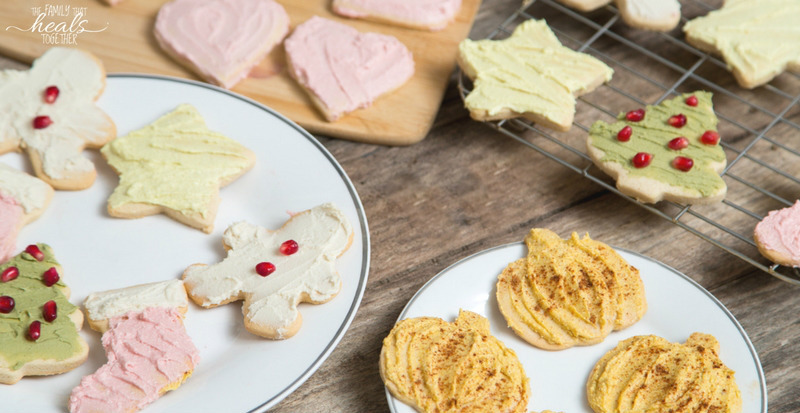 These cookies are perfect for every holiday, so grab some cassava flour, some cookie cutters, and this insane organic frosting (or grab my recipe for paleo buttercream frosting with protein and probiotics here) and get to baking. They are quick and easy to make, I promise. Oh, and if your kids LOVE colored frosting without the red dye meltdown, grab these natural food colors. Are you a visual person? Enjoy the video below before you check out the recipe! Add the maple sugar, baking soda, and salt, and beat once more until combined, scraping the sides to mix well. Allow cookies to cool before transferring them to a serving dish. Frost with vanilla buttercream frosting for best results. 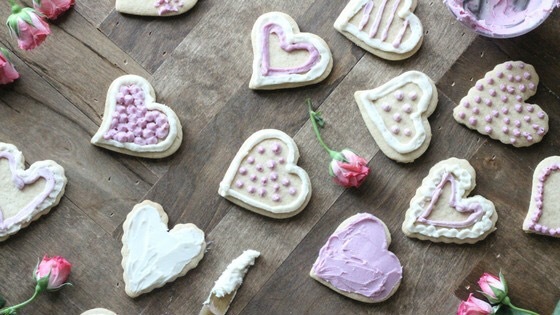 Do you have a friend that would appreciate these paleo sugar cookies for a special occasion or holiday? Be sure to share using one of our links! Hi Jaclyn! I just found your blog and am amazed at how similar our stories are. 🙂 I, too, am the mom of 4 boys (10,8,6,4) who has Hashimoto’s and deals with multiple chronic health issues with each of our boys (anaphylactic food allergies, environmental allergies, SPD, ADHD). I have been on a journey to heal us naturally for about the last 5 years through the GAPS diet, homeopathy, naturopathic medicine, neurofeedback, etc. We currently follow a mostly Paleo diet and all feel so much better because of it! 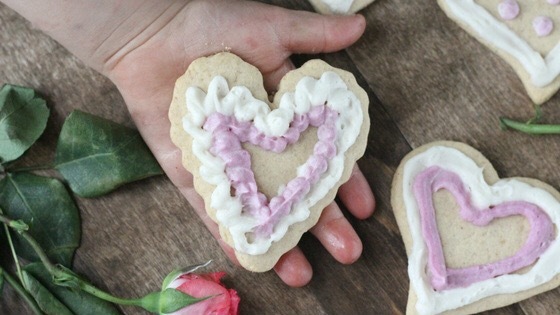 Cassava flour has become my favorite baking flour as well and I loved making this cookie recipe for my crew for Valentine’s Day. I look forward to continuing to follow you! Hi Jennifer! So glad to have you! Trying to eat paleo and gluten free is harder with these allergies! I’m LOST for breakfast! Happy to use Cassava, but everything has egg. I’m so lost! Hey Kelly. I know it’s hard to navigate food allergies! I would suggest trying a gelatin egg, but I haven’t tried it, so I can’t guarantee it will work. Come back and let us know if it does though!